As we have learned, communities with municipal networks have tended to be politically conservative. Nevertheless, conservative state level politicians have often supported measures to revoke local authority to encourage local Internet choice. 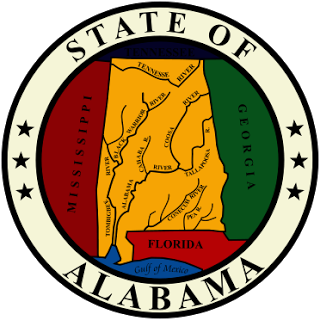 Recently, Alabama State Senator Tom Whatley, a Republican from Auburn, expressed his support for local authority in AL.com. Whatley introduced SB 438, which would remove service area restrictions on municipal providers and remove the currently restriction preventing other municipalities from providing voice, video, or Internet access services. As he notes in his opinion piece, the bill did not move beyond the Transportation and Energy Committee, but he also asserts that he will be back next year to press for the measure. Auburn is near Opelika where the community has deployed a FTTH network to serve residents and spur economic development. If the restrictions are eliminated, Opelika could expand to Auburn and even other rural areas nearby. Whatley makes comparisons to the strides America made with the national interstate system. He also acknowledges the way Chattanooga's network has transformed what was once described as the "dirtiest city in America." Whatley takes the same approach we encounter from many communities where, after failed attempts to entice private providers to serve their citizenry, eventually decided to take on the task themselves. As a Republican, I believe the private sector is usually the best and most efficient method for providing a service. But when private companies, for whatever reason, make a decision not to serve an area, we should not handcuff the people of that region if they decide to use a public entity to receive that service (in this case, broadband Internet) in order to compete today for the jobs of tomorrow.